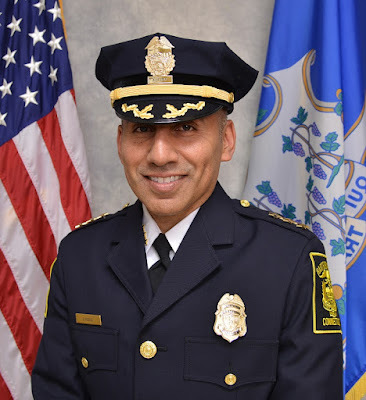 Our new police chief, Hartford native David Rosado, will be the featured speaker at the March 21 meeting of the South Downtown NRZ. Please join us at 6 pm in the Bryant Room at South Congregational Church. Our meeting will also include updates on fire and police activity in the neighborhood, and reports from Hartford 2000, Hartford Decide$ and the Social Committee. We hope to see lots of neighbors there. Please share this email with your neighbors!